House of Therapy is a business division of the HABA Family of Companies, and supports people who work in therapy, nursing care and social care in their day-to-day work with children, youth, adults and senior citizens, with selected products and innovative concepts. Our customers profit not only from our wide range of products for therapy and care, but also from our many years of experience as an all-round outfitter of social facilities. Beside our proven designs and carefully selected innovations, we also offer our customers versatile and unique products, which are developed by our designers and experts and have undergone practical testing: Therapy, teaching and learning material, play and work equipment, sport and movement offerings for inside and outside, as well as products for people suffering from dementia. High-quality materials and functional designs represent safety, quality and durability. House of Therapy products are aimed at professionals in therapy and elderly care facilities, as well as private individuals. See for yourself what the new catalog has to offer. Discover new products and ideas for your work. If you feel that our range is missing something, please let us know. 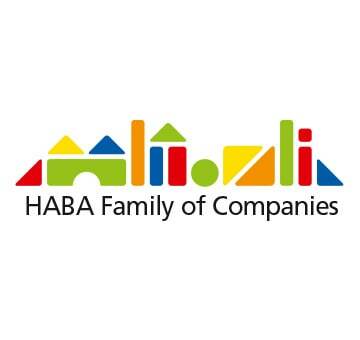 The HABA Family of Companies is a modern family business now operating in its third generation. We love families and their children and offer a broad selection of unique products and services centered on family life, play, education, fashion and health. Since our company was founded in 1938 we are based in Bad Rodach, Bavaria, Germany and currently have about 2,000 employees. As HABA Family of Companies we combine different brands such as HABA, JAKO-O, Wehrfritz and Project jointly striving to provide excellent products for families and their children.